Proclaimed by Guitar Player magazine to be the greatest shredder ever, JASON BECKER has also emerged as a world-class composer. He used to play guitar -- now, after battling ALS for nearly three decades, he "plays guitar players," as well as writes for orchestras and choirs. And when he puts the two together, he blows your mind -- as you'll find out if snag his new album, TRIUMPHANT HEARTS. The record should please insatiable guitar fans everywhere, because it features an A-list roster of guest guitarists, including Trevor Rabin, Joe Satriani, Paul Gilbert, Ben Woods, Aleks Sever, Steve Morse, Neal Schon, Marty Friedman, Daniele Gottardo, Dave Shul, Steve Hunter, Gus G, Uli Jon Roth, Chris Broderick, and others, as well as ukulele virtuoso Jake Shimabukuro. In addition to speaking with Jason, I caught up with people close to him who have helped him along his wild guitar adventure over the years, including MARILYN WHITE, MIKE BEMESDERFER, DAN ALVAREZ, DAVE LOPEZ, MATT BLACKETT, and Jason's father, GARY BECKER. It was a thrill to dive into the Jason Becker legacy with all of these great humans, and I thank them all for being so generous with their time. 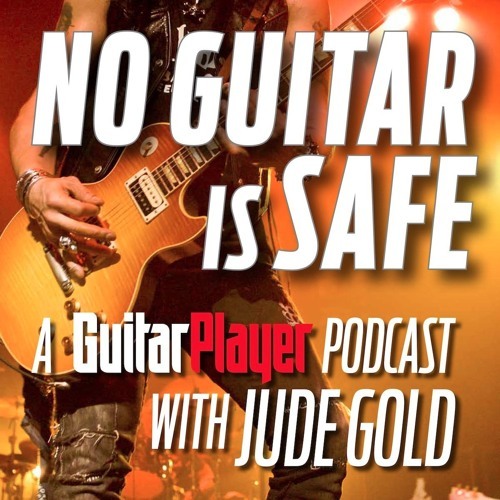 -- JUDE GOLD, host, No Guitar Is Safe podcast.